The take-up of water based sports across Stockton and the Tees Valley looks to be on the up, and Alex Cunningham has welcomed a £110,000 investment by Sport England, Stockton Council and Stockton based Tees River Users Trust (TRUT) that will help boost numbers further. 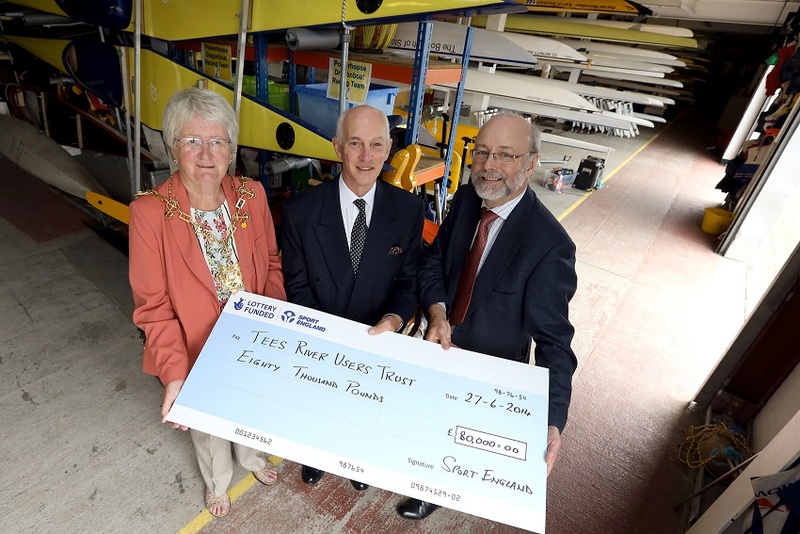 The funding, to be delivered over four years, will allow TRUT to appoint a community Sports Recruitment Activator to get out into the community and encourage people to try water based sports and develop good exercise habits. The Activator will be based at the River Tees Watersports Centre in Stockton. Water based sports such as canoeing, rowing, dragon-boating and sailing offer people of all abilities and from all backgrounds the chance to exercise and improve their health. Via free trials, the Sports Recruitment Activator will be able to find something to suit everyone – from water sports novices to budding athletes. The project is one of 88 to receive a share of £15 million of funding to support grassroots sport activity across the country, with £80,000 of funding coming as a grant from Sport England’s Community Sport Activation Fund which allows local authorities, charities and other organisations to apply for funding for innovative projects that will get more people playing sport.